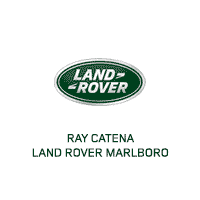 At Ray Catena Land Rover Marlboro, our focus is on providing you with outstanding service throughout vehicle ownership. That includes having genuine OEM parts on hand to improve your vehicle, whether you’ve chosen to work on it at home or have parts installed by our experienced service technicians. These parts are designed to maintain the performance and efficiency of your vehicle as you travel throughout Marlboro, Freehold, and Englishtown. Check out our current OEM selection of parts, designed to be the perfect fit for your vehicle. Regular maintenance is an important part of vehicle ownership. When you choose to install the genuine parts from our dealership, it assures you’ll have the best possible fit for the specific model you drive. Factory parts are designed to maintain performance and reliability. Using factory parts instead of aftermarket parts can be the difference between getting strong performance and seeing a decrease in efficiency. We have HVAC parts and accessories to keep air quality inside the cabin high. We also check your electrical system and ensure any replacement parts are up to Land Rover standards. We have everything needed for the engine and transmission, too. You may be able to find a part at an aftermarket auto parts store or browse online to find something that seems like it may fit. The only way to guarantee you’re going to have the right part, however, is by visiting our dealership. If you know the part you’re looking for, it can be ordered online. Just provide us with some basic vehicle information and the parts you need, and we’ll order them. You can also let us know if you’d like installation included with the part, or if you prefer to take care of installation at home. We have the parts, backed by a warranty, meant to provide the best possible performance. Whether it’s for maintenance, repair, or just to accessorize your Land Rover model, purchasing directly from our parts department is the best way to get exactly what you’re looking for. If you choose to place an order with our parts department online, we’ll be in touch when it’s time to pick it up. If you have any further questions about parts or need to schedule a maintenance appointment with our Ray Catena Land Rover Marlboro service technicians, don’t hesitate to reach out to us. We look forward to keeping your car running smoothly on the roads of Marlboro, Freehold, and Englishtown for years to come.